"The signature of Ovolo hotels is a stylish boutique quality, with spectacular and innovative design. Its mission is 'to make our guests shine every day, to create a happy and productive workplace and to provide meaningful contributions to society.'" 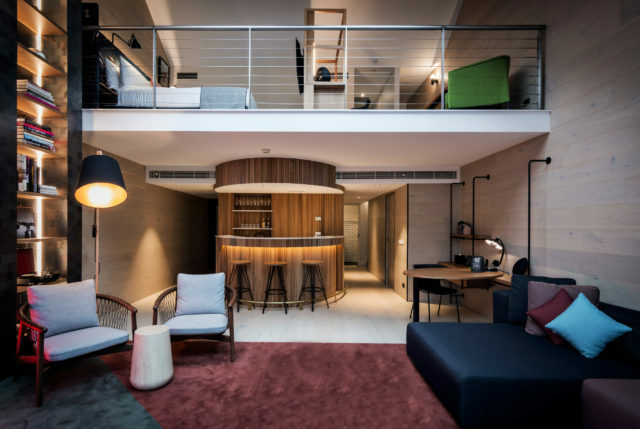 Hong Kong-based Ovolo Hotels operates four stylish boutique hotels in Hong Kong, and seven hotels in Australia. Founded in 2002, Ovolo is a proud Hong Kong brand and remains a family owned and privately operated business with a charitable core. The brand is currently planning additional hotels in Asia. WEILL’s representation is chiefly concentrated on the groups’ four Hong Kong hotels, as well as its two hotels in Brisbane, including the new Ovolo Inchcolm. At all its hotels, Ovolo specializes in ensuring client happiness in a friendly, service-oriented, lively, high-design, high-gastronomy, high-comfort atmosphere.